I recently got a gift card to Sephora but since deciding to go cruelty-free and vegan with my makeup and skincare back in 2012, I haven’t set foot in a Sephora store in forever. The reason being is that the Sephora house brand isn’t cruelty-free as they have a number of stores in mainland China where animal testing is required by Chinese laws, so I never felt like it was right to buy anything, even if it was cruelty-free/vegan, from Sephora as I felt my money would be indirectly funding more animal tests done by the Sephora house brand. Since receiving my Sephora gift card, I wanted to do a little research to see if maybe I can find some makeup products that were from brands that do not test on animals and that were also vegan and do not contain animal ingredients. To narrow down my search even further, I also wanted to avoid cruelty-free brands with a parent company that continues to test on animals such as Urban Decay (owned by L’Oreal); Too Faced (owned by Estee Lauder); NARS + Bare Minerals (owned by Shiseido). To my pleasant surprise, Sephora has a small (but growing) selection of vegan makeup products with no parent company testing! I’ve decided to publish this list of vegan makeup brands at Sephora with the hopes that it’ll help some of you find and shop for both cruelty-free and vegan makeup at Sephora! 2018 Update! 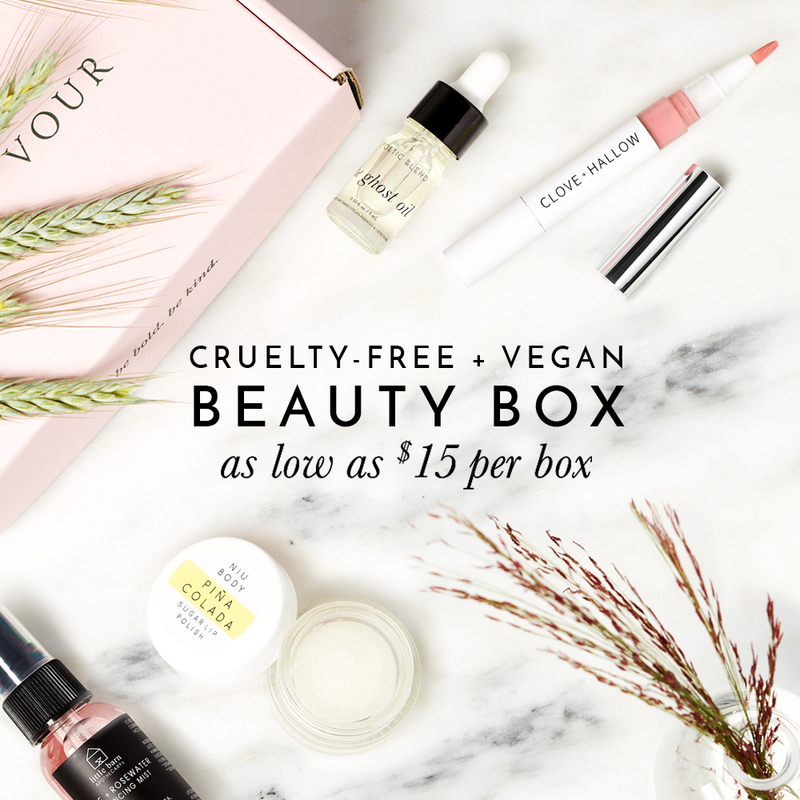 I’m happy to report due to the growing options for cruelty-free and vegan makeup options at Sephora, this list has expanded immensely so I have created separate product guides for each category. Click on the image to be redirected to the NEW and UPDATED product guides! All of the makeup products mentioned are cruelty-free, vegan, and are from brands that are not owned by a parent company that tests on animals. Thank you so much for this list. It’s just what I’ve been looking for. It seems every vegan brand I use gets bought up. It’s so frustrating trying to find an independent company. Although Sephora has a list of individual vegan products, they don’t take into account the parent company. and I’m still waiting to hear back from Milk Makeup about whether their raw material suppliers test on animals! Unfortunately they don’t list their ingredients online so it’s difficult to confirm whether carmine is in these 3 blushes that they are claiming to be “vegan” Hmm.. I’ll look into this! That’ll be a shame if they do contain carmine =( Thanks for letting me know!! LOve love love. A list like this was hard to find, and I really wanted to avoid brands that had a parent company doing animal testing. I will be sharing this with all my friends. these are all great brands, there’s no reason to need anything else to get a fab makeup look. I totally agree! There’s plenty of cruelty-free brands available now that there’s really no reason why we should be supporting or condoning beauty brands who are choosing to continue to test on animals! Glad this list was helpful to you, I only feature cruelty-free brands on my blog that don’t have a parent company that tests on animals so feel free to browse my other shopping guides to help ya out! =) thanks for being a voice for the voiceless, Lydia!! You forgot to include tarte. They are known to be cruelty free and vegan. I thought the company that owns Tarte is based in Asia and owns other non-cruelty free cosmetic brands? Yes, that’s right! Tarte is owned by Kose. Kose is NOT a cruelty-free brand. They also own several cosmetic brands that sell in mainland China and therefore are not cruelty-free. This is SO ideal, I’ll keep this in mind! !